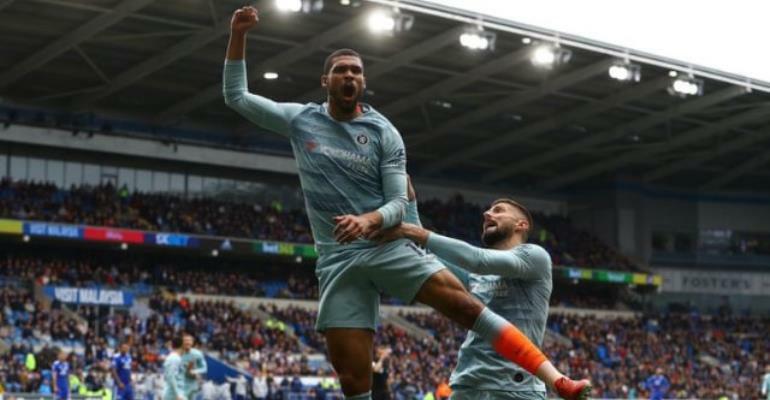 Substitute Ruben Loftus-Cheek scored a dramatic 91st-minute winner as Chelsea came from behind to beat Cardiff. Trailing 1-0 to Victor Camarasa's volley, Cesar Azpilicueta headed the visitors level despite being in an offside position. Earlier, Chelsea's fans had turned their frustration on Blues boss Maurizio Sarri as the visitors struggled to make an impact. There were loud chants of 'we want Sarri out' from the away end before two goals in seven minutes turned the game on its head.